Handmade in Norway using the finest materials. Designed for optimal signal transfer, they deliver the sound of music. A cable can not improve the signal coming from your electronic components. 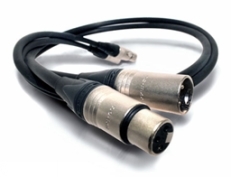 All cables work like low-pass filters, robbing music of its finer detail. The mambo cable lets more music come trough. We have named our cables after an energetic and lively Latin dance rhythm. If you prefer soft and mellow sound, don’t bother with the mambo- it may stir your soul.